Langkawi is not just another beach holiday destination; it’s an exotic archipelago made up of 99 islands, situated on the west coast of Malaysia. The main island is picturesque – lushly-landscaped valleys, paddy fields and jungle-clad hills. The many islands surrounding the main island are little drops of fun placed there just for you to explore. Oh by the way, if you’ve not heard of this before, Langkawi is a duty-free paradise. Walk the shorelines in your bare feet – the powder-fine sand is really soothing on the feet, and the swaying coconut trees spell true romance. 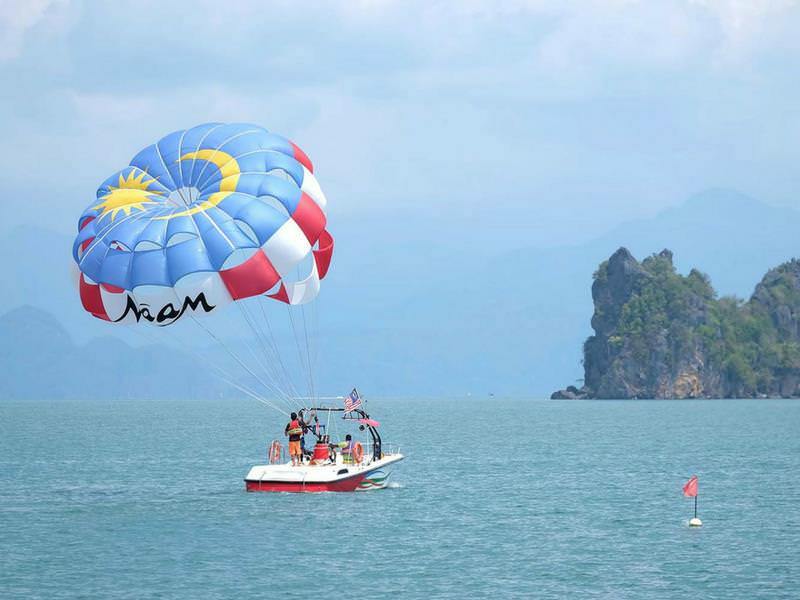 Needless to say, Langkawi is a paradise for water sports fans! 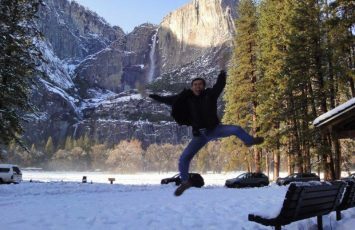 Here’s our take on the fun and unusual things to do in this very unusual holiday destination. 1. 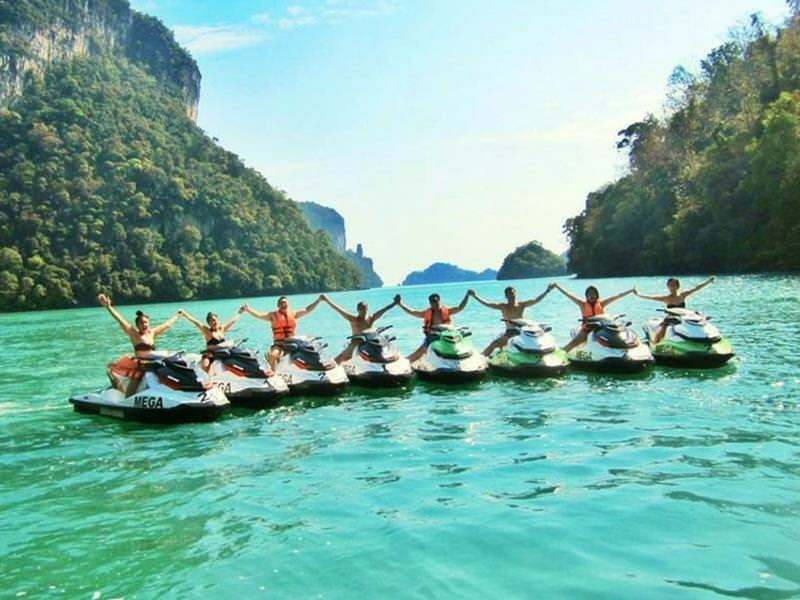 Island Hopping Langkawi On A Fast Jet Ski! 11. Enjoy A Rousting 4X4 Quad Biking Adventures! Parasailing over the pristine waters off the Tanjung Rhu Beach is an incredible experience. If you’re not used to parasailing, you’ll be given training for a while, and then allowed to fly behind a boat attached to a parachute for several minutes at a time till you’re reeled back slowly to the boat. Water sports of all kinds are Langkawi attractions you’ll love. 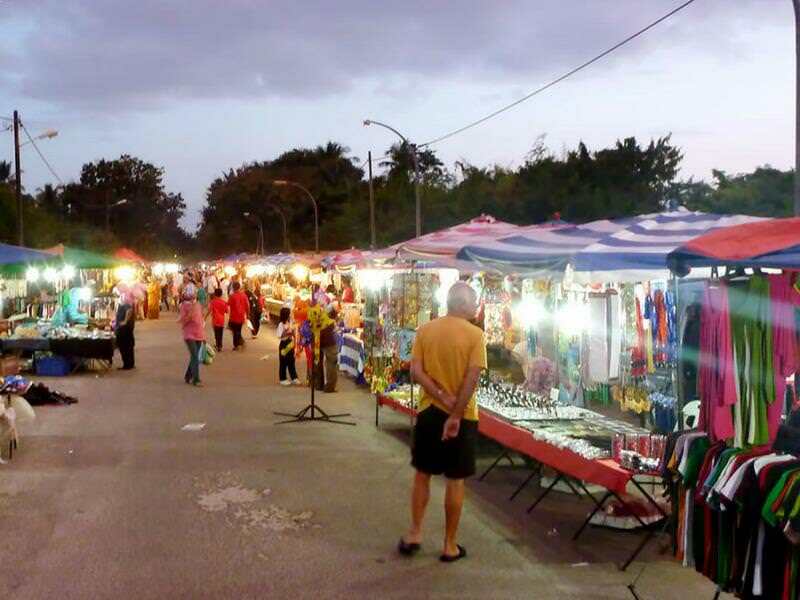 The Friday night market at Ayer Hangat in Langkawi Island is a fabulous location to pick up some exotic foods. Try the nasi kerabu, which is colored rice topped with toasted coconut and herbs. This market is famous for its seafood, so try the fried mackerel, and chili stuffed with fish. 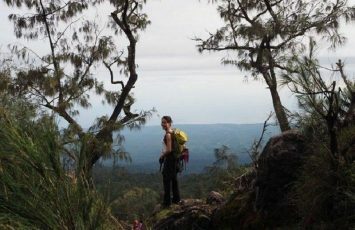 If you’re wondering what to do in Langkawi, here’s a fabulous activity. 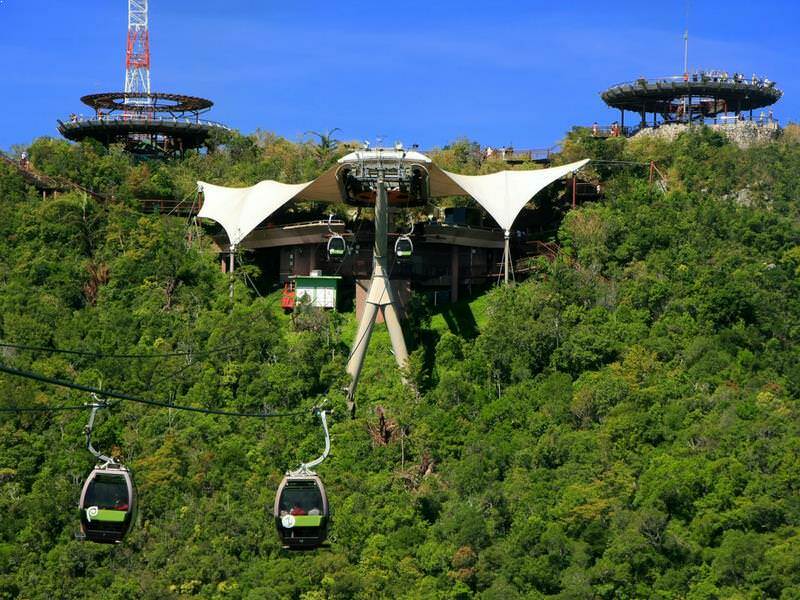 Ride the SkyCab all the way up Langkawi’s second-tallest mountain, the Machinchang Mountain. The cable car stops at several fabulous viewpoints, so keep your camera ready. If you’re not the queasy type, opt for the glass-bottomed cable car and enjoy a total 360 degree view of the region. When you get off, take a short hike down to the suspended SkyBridge. It’s the world’s longest free span and curved bridge. Walk across it and enjoy some of the best views you’ll ever see. Mahsuri is the name of a young girl who died cursing Langkawi many centuries ago. She is a legend in Langkawi, and her tomb is a museum that tells her story via life-sized scenes and sculptures. Mahsuri’s old home is also located within the complex, so do get a look at the home of the girl whose beauty so scared the locals that they condemned her to death for it. One of the important Langkawi points of interest, Mahsuri’s story and her curse are a part of the island’s heritage. Langkawi’s mangroves protect the island from erosion. 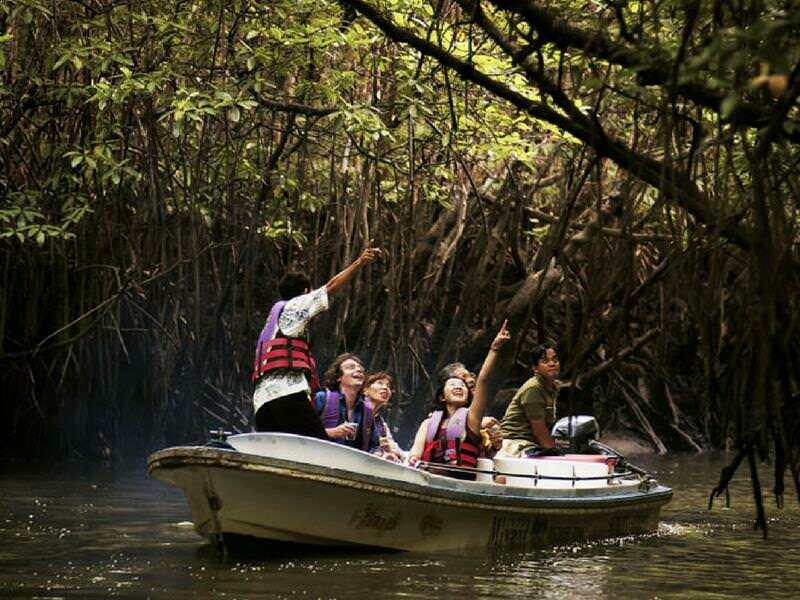 Sign up for a mangrove tour and explore this natural environment. You’ll stop at a number of places to walk around and touch the trees. There’s also a cave filled with bats and a body of water surrounded by mountains. On the way back, be sure to check out the fish farm to learn about Langkawi’s fishing industry. Visit the natural hot spring spa in Air Hangat Village for a healthy soak. Get rid of all the knots in your muscles and the stresses of the trip in a natural salt water Jacuzzi. 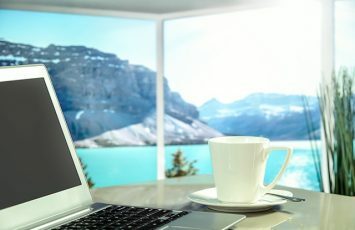 You can book a private room with an open roof and watch the skies as you enjoy soaking in the Jacuzzi. 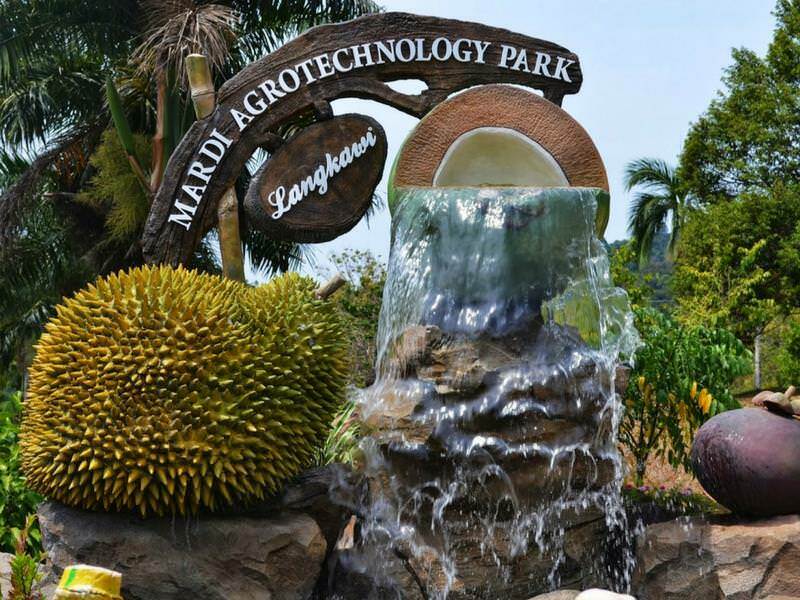 The MARDI Langkawi Agro Technology Park is sponsored by the government of Malaysia to grow, and improve ways of growing local fruits and vegetables. Enjoy a tour of the farm, checking out the various strange tropical trees on which grow fruits such as mangosteen, rambutan, durian, mangoes, cempedak, jackfruit, dragon fruit, star fruit, rose apples, and several more. You’ll even get to sample the fruits at the end of your tour. This park is definitely one of the most interesting places in Langkawi. 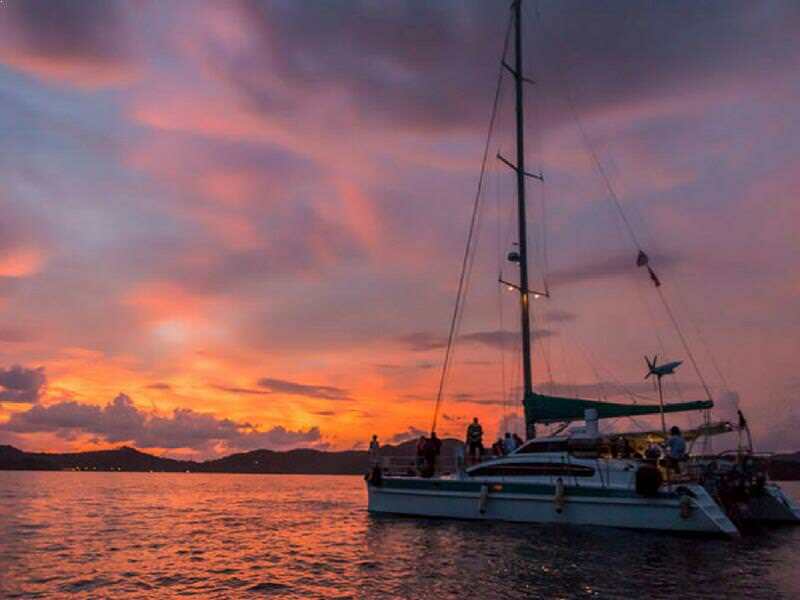 Sign up for a Langkawi sunset cruise from the main boat pier near Kuah town. Your cruise boat will be a custom-built catamaran with two levels that has all the luxuries you want. You will sail along the waters with your party as the sun goes down, and stop for a swim in the still-warm water if you want to. After sunset, enjoy a fabulous onboard dinner which will be a buffet comprising a few Malaysian dishes and a few western foods. 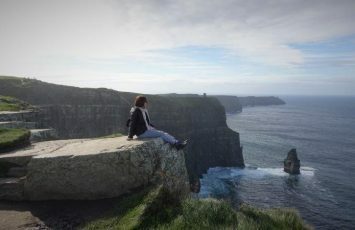 The cruise is great for the fabulous views, and the chance to get a good look at the other islands in the archipelago. 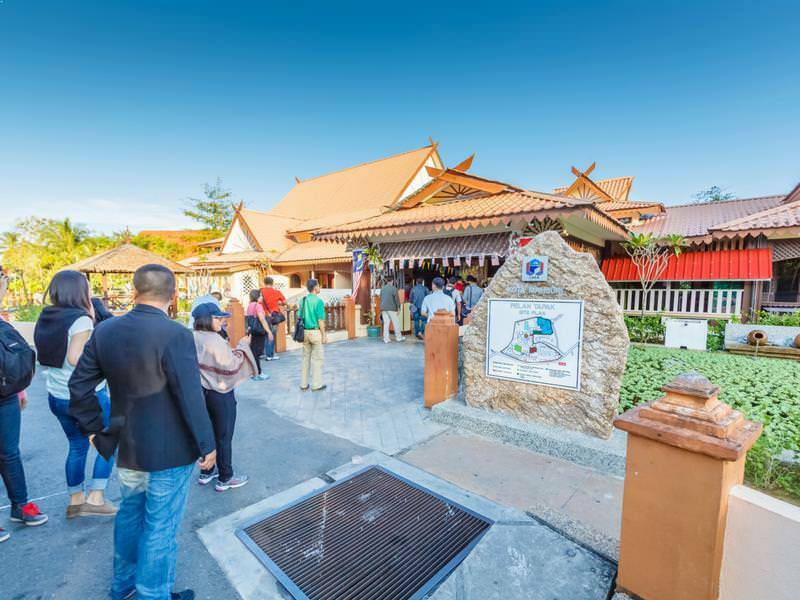 Need some authentic culture, join one of the Langkawi local tour to visit the Rice Garden Museum that houses a gallery of photos, charts, tools and artifacts that detail the history of rice cultivation in Langkawi. The museum is divided into the Heritage Gallery, Paddy Gallery, Herb Garden and Garden of Variety. 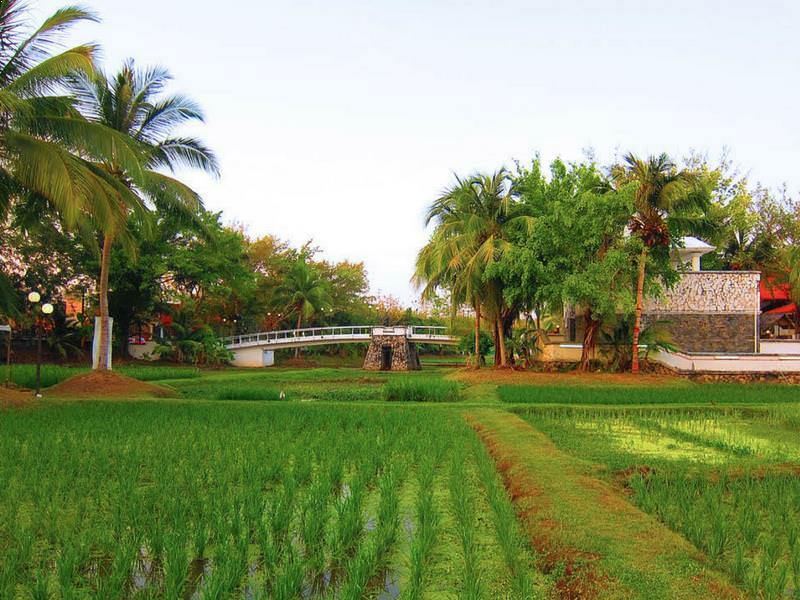 The Heritage Gallery shows you the exact sequence of activities involved in rice planting. 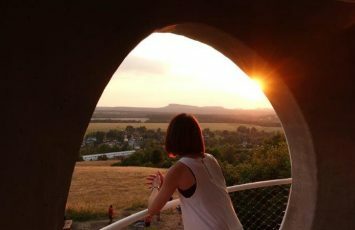 The Paddy Gallery is actually a viewing deck that offers breathtaking views of a rooftop rice garden that has multiple tiers. You can actually try your hand at rice farming at The Herb Garden and Garden of Variety sections! Sign up for a rousting 4×4 quad biking tour of Langkawi; you’ll love hopping over rugged landscapes, paddy field borders, climbing hills, exploring local villages and generally bouncing around. You’ll tour to a rubber tree farm where you’ll learn about rubber trees, about the material that rubber trees produce, called rayon. 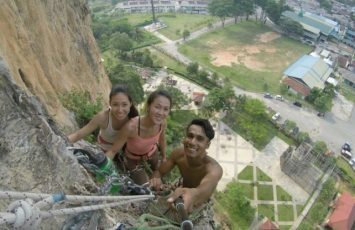 It’s a 45 minute, high-octane adrenalin ride that you will enjoy very much, and well worth your Malaysia tourist visa. Get to Pulau Payar (Payar Island) Marine Park, just an hour by ferry from the main island. Snorkel to your heart’s content here, and try the tank dive to get up close to sharks. 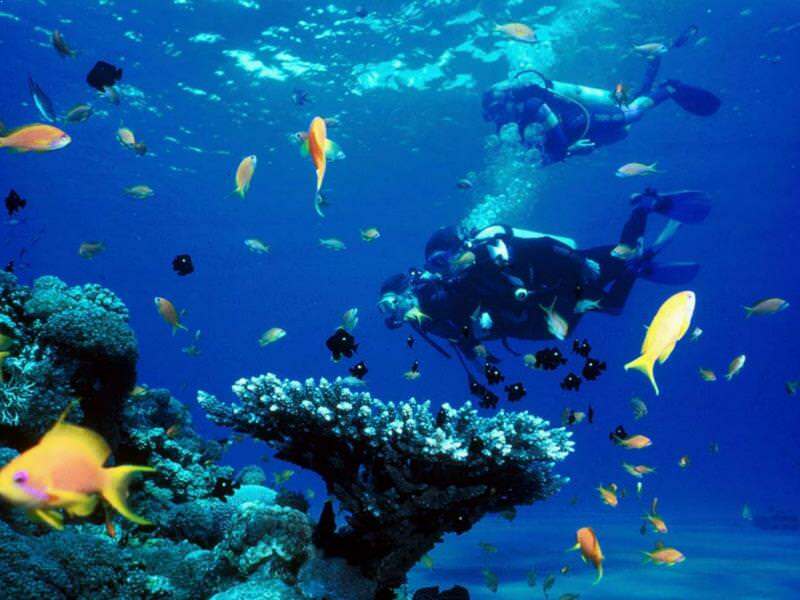 You’ll discover exotic nudibranchs, black tip reef sharks, parrot fish, puffer fish, angel fish and every kind of coral there is. If you have kids with you, be sure to teach them about the hidden gems of the marine environment. 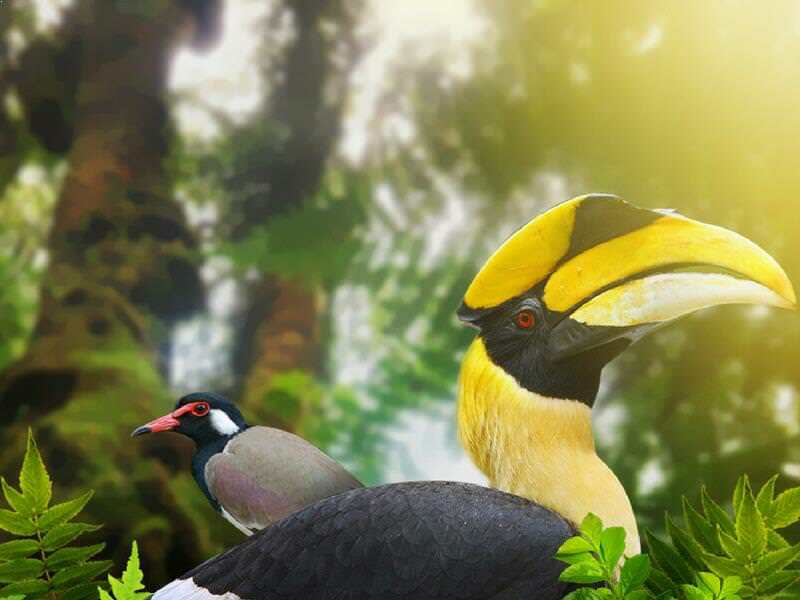 Explore the 5-acre Langkawi Wildlife Park & Bird Paradise and check out the more than 2,500 exotic birds belonging to 150 species there. You’ll get up close to owls, canaries, eagles, toucans, hornbills and flamingos among many other exotic species. 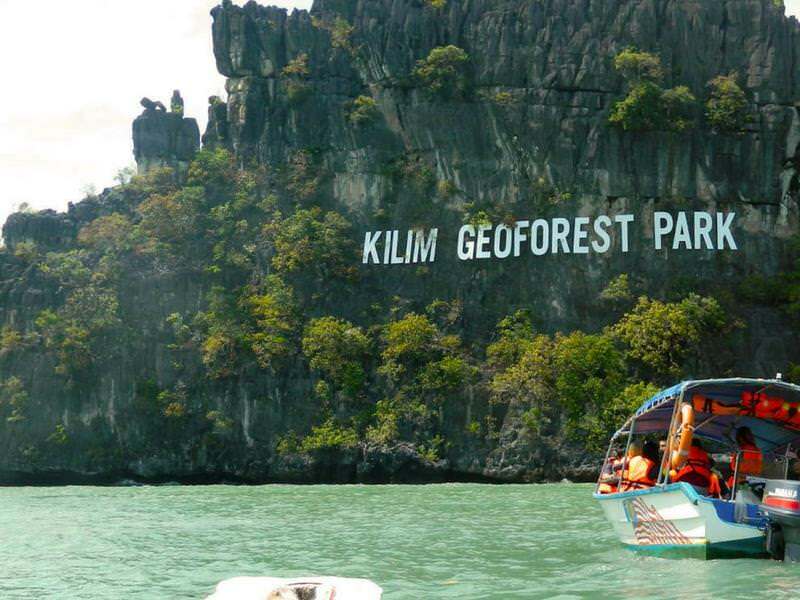 The Kilim Karst Geoforest Park is a huge area; it comprises of more than 100 square kilometers. Take your time to explore and film the mindblowing landscape of mangrove forests, caves and beaches and the incredible limestone formations. Kilim Kart is one of the best places to visit in Langkawi. As you can see, Langkawi is more than just a duty-free paradise to pick up that bottle of laphroaig you’ve been lusting after. Its is a beautiful archipelago that’s very proud of its heritage and its self-sufficiency. 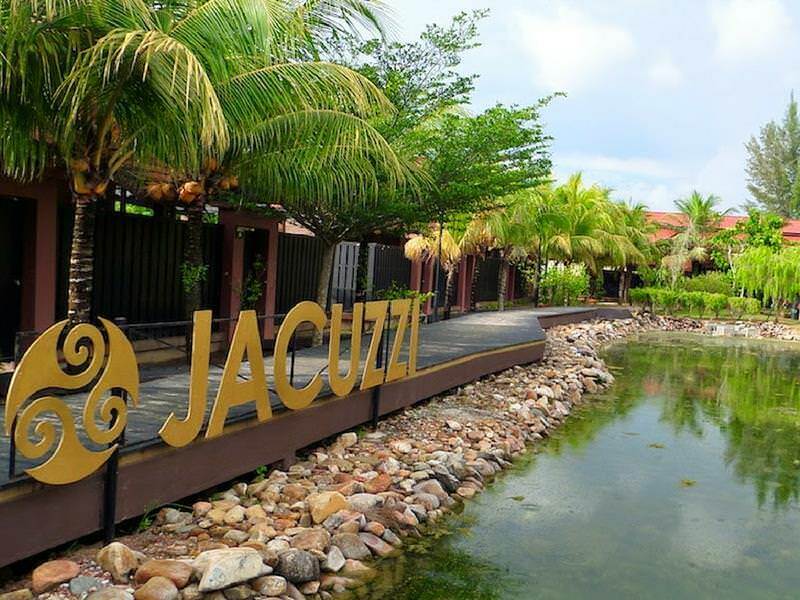 Take the time to explore the fruit farms, the fish farms, the heritage centers and the museums to understand this incredible Malaysian destination in full. If you have more time, you should also make time to take a ferry over to Koh Lipe and enjoy that part of Malaysia. That sounds like an exceptional itinerary, Tonkin! Safe travels!